Hi everyone! It's a Tuesday again and would you believe it, it is raining in Auckland again! I am honestly over it. Just want to see some sunshine now with a bit of warmth to it. So what is my post about today? 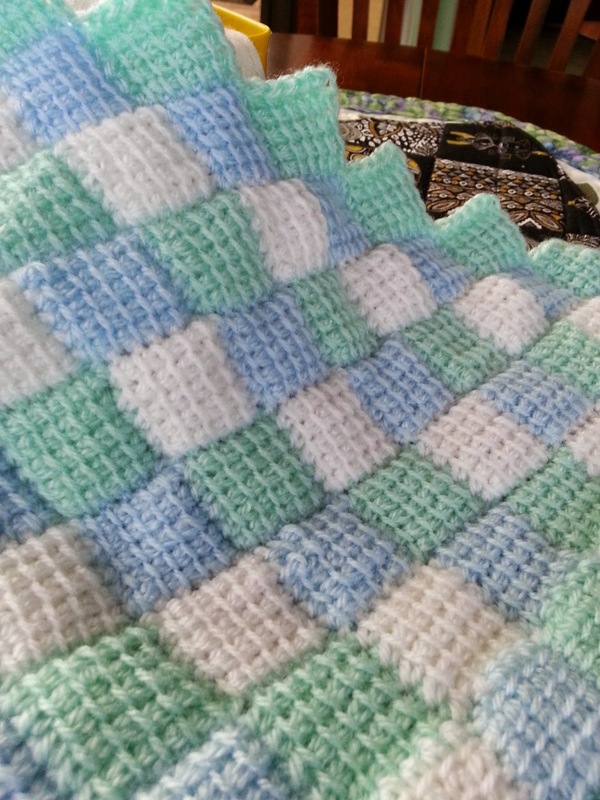 Well as I was rummaging about in my craft cupboard amongst the UFO's (unfinished objects), and I came across a baby blanket in Entrelac Crochet. 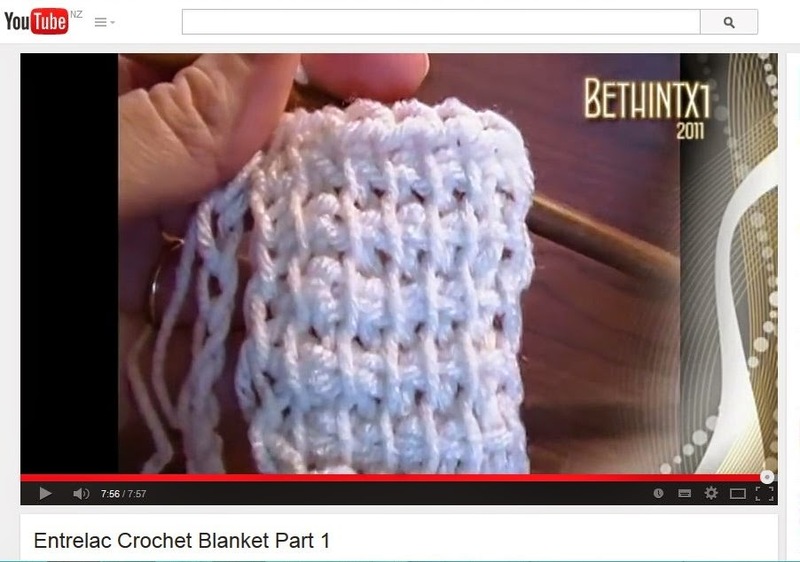 If you don't know what that is, it is a version of Tunisian crochet. simply picking up stitches and crocheting them off. I started this one a couple of years ago and haven't got around to finishing it. If I go away it normally goes with me and a bit more will get done. 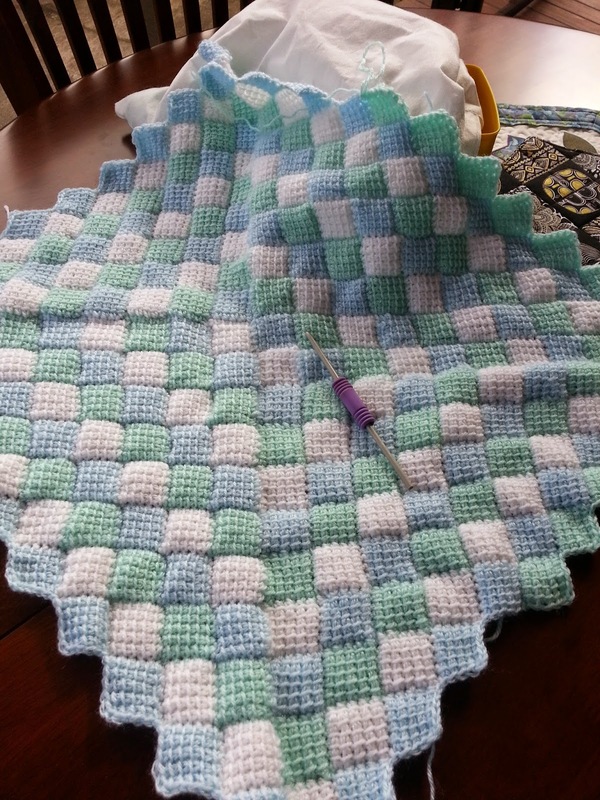 I love the colours, and if I knew of a baby boy being born I would forge ahead and complete it. But, it seems only baby girls in my circle of friends. Anyway I thought you might like to see the YouTube video that I followed to create this. It is by Bethintx1, who is Beth from Texas. She does a great easy to follow tutorial. It is in several parts so you need to stay focused.